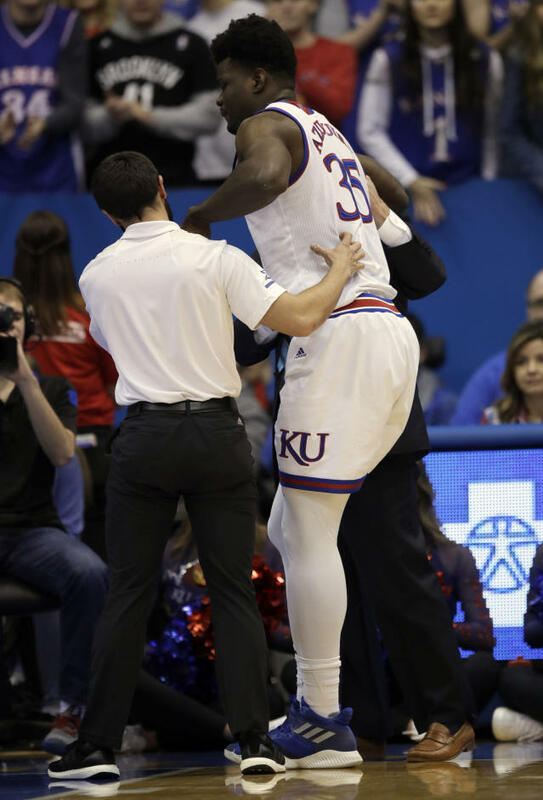 The 7-footer sustained a severe high ankle sprain when he landed awkwardly on a Wofford player early in the Jayhawks' 72-47 rout on Tuesday night. 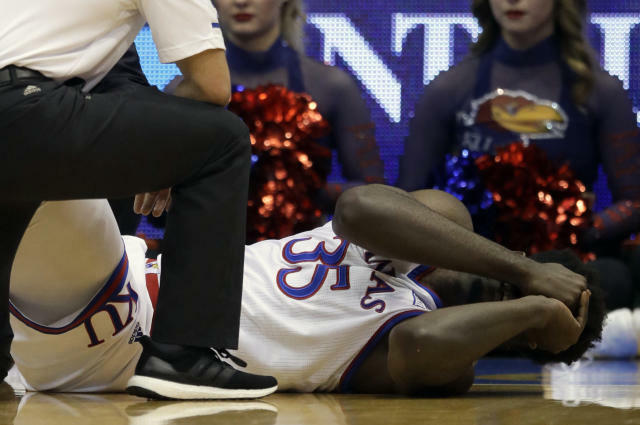 Azubuike was still not putting much weight on the ankle Thursday, Self said, but he could be moving in a walking boot by the weekend. "He seems to have good spirits," Self said. "I don't think he's excited about it. He's not going to put any weight on it, or very little weight on it, the next couple of days. But I don't see any reason he can't be up and at 'em by the end of the weekend." 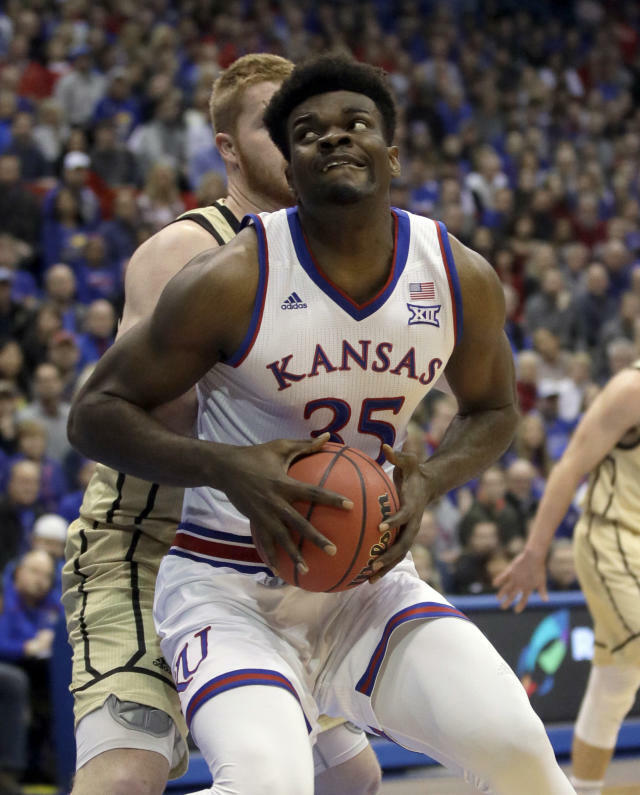 Kansas is still better-equipped to deal with Azubuike's absence than they have been in recent years, though. Leading scorer Dedric Lawson is a versatile point-forward capable of guarding an opposing big man, and junior forward Mitch Lightfoot has plenty of experience coming off the bench. "We go from being a really deep team inside to now we don't have much depth at all because you not only have 'Doke out, but you have Silvio out too," Self said. "We do have more options. Last year, if 'Doke went out, for almost half the season we didn't have Silvio either, so it was just Mitch. So if Mitch got two fouls in the first 10 minutes, it was like, 'What are we going to do?'" Azubuike's injury also should mean more playing time for freshman David McCormack, a five-star prospect from venerable Oak Hill Academy. McCormack has yet to play more than 10 minutes in a game this season — he didn't play at all against Louisiana-Lafayette — but performed well against Wofford, scoring a season-high six points and pulling down three rebounds. The Jayhawks don't necessarily need anybody to replace Azubuike, either. They have played largely with four-guard lineups in recent years, a byproduct of their roster, and they could lean on Lawson and their backcourt of Lagerald Vick, Devon Dotson and Quentin Grimes for now.